This is based on my old cursor "Santa Claus":Link I had fun making this cursor hope you enjoy it. And Merry Christmas to everybody. I'm the first... your work is amazing. 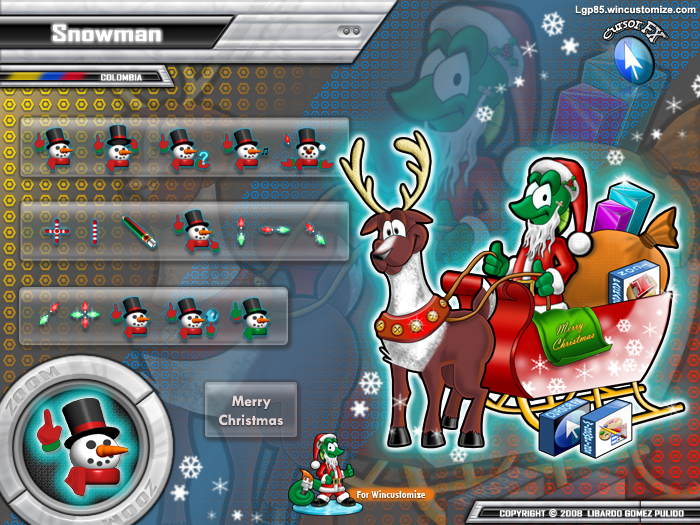 Amazing.....I have been using your Santa cursor and this one is great also keep up the good work your very talented. It's already been said but it bears repeating! Your work is amazing. Ho-ho-ho! I'm so awesome, I'm the first, I'm the first...please. � � Nice work Libardo, thank you. Nice job Libardo Perfect for My current setup! Very creative as always man, great job! hehe, I'm glad by the nice comments� �. I was saving this cursor for participate in a contest or similar thing, only I was waiting the moment. But no problem in christmas I want share this one. I'm happy to know that all can apreciate it. thank you. Makes me smile everytime I click.